Hollywood life has its bumps for Alice, the busy 40-year-old in the center of Home Again. She’s just separated from her music-industry mogul husband and moved back west with their two kids, into the home she grew up in with her big-shot movie producer dad before he split with her mom, married lots of other women and died. Well, Reese Witherspoon does much with this story that’s written and produced by Hallie Meyers-Shyer. She plays Alice with the right amount of sense of responsibility and abandon of newfound freedom. 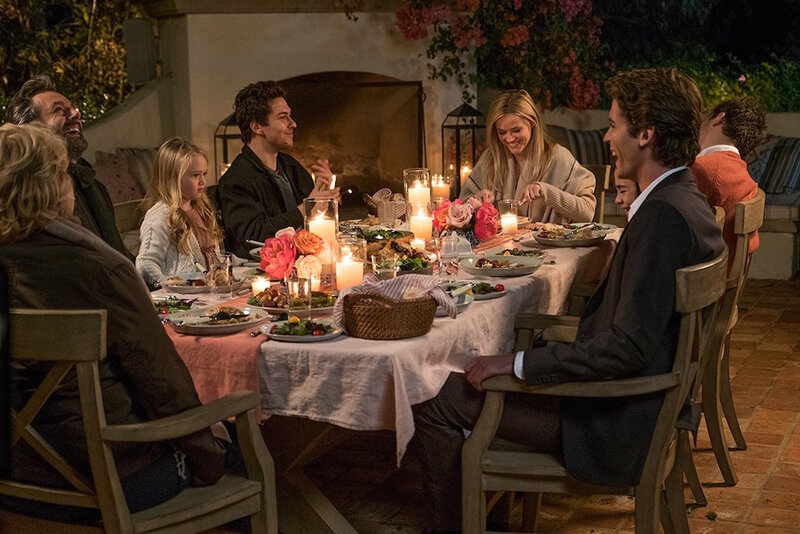 The plot, as Hollywood as it can be with the three aspiring-movie-biz young men meeting Alice and moving into the guest house and the attending one-the-edge of age-inappropriate romance and kids-meet-young-adults, carries a certain degree of honesty to it, too. Maybe that’s because Meyers-Shyer herself is indeed the daughter of successful but divorced Hollywood directors. She’s writing and directing a subject she really knows, which is, of course, what they always tell us to do. In any case, the whole oddball scenario plays out with enough edge yet enough soothing honey, too, to provide a sense of comfort about the eccentric but loveable relationships that are shaking out and coming down. The young men, all played well by Pico Alexander, Jon Rudnitsky and Nat Wolff, are earnest but have enough faults to keep it real. The former husband, played by Michael with just enough irritable traits to know why Alice left and endearing moves to understand why he’s good for his kids to stay around, is the love-to-hate and hate-to-love character all these little romcoms need. My dear wife Karen and I enjoyed and appreciated the 97 minutes spent with them all on the living room widescreen. You gotta check it out at your library, Beth, for a late winter treat. I appreciated my slot as movie-adder, MBC. I just nominated you for the Versatile Bloggers Award on my blog!